I’m more interested in this little guy, aka the most Japanese thing ever. It’s a NEXCO Pato-Car. Basically they make sure the Expressways are free of dangers and often attend to accidents alongside the emergency services, sometimes as first responders. Think of them as a combination Traffic Sign Trailer that Jalopnik got people to hack a while back intergrated into the patrol car itself. Aka a rolling traffic control roadblock. Here is video of them collecting debris on the roadway. They sometimes are within inches of fast moving cars. 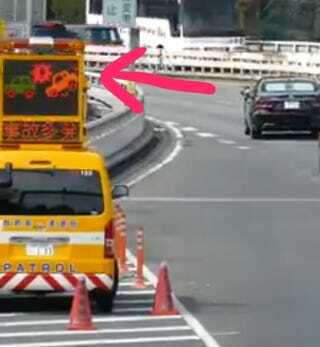 This video shows a traffic accident (a reefer truck having an engine fire I think) on a layby. 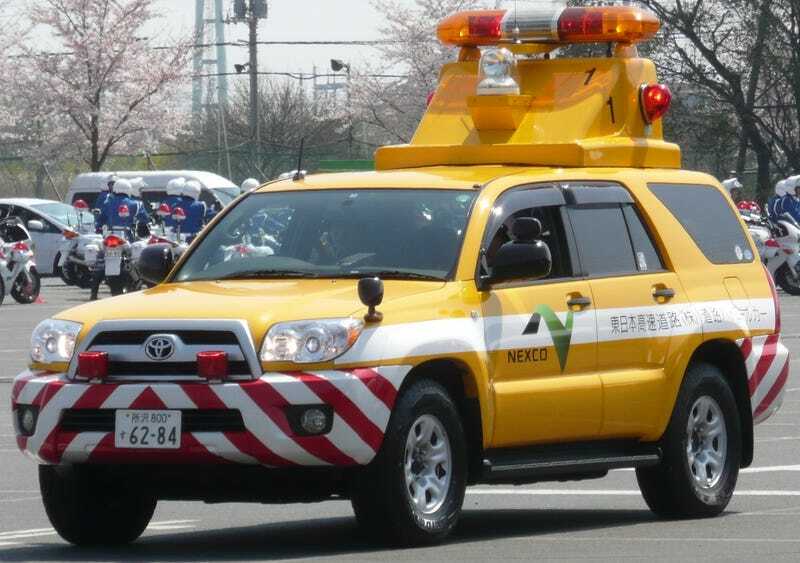 The first emergency responder is a NEXCO Pato-Car. Notice one guy pretty much goes back to direct traffic away from the incident to outer lanes while the other guy tries to stop the fire, but then realizes he’s over his head and instead deploys cones to get traffic away from the incident. The police have similar units.